This was my very first rhododendron and she has been through the mill. 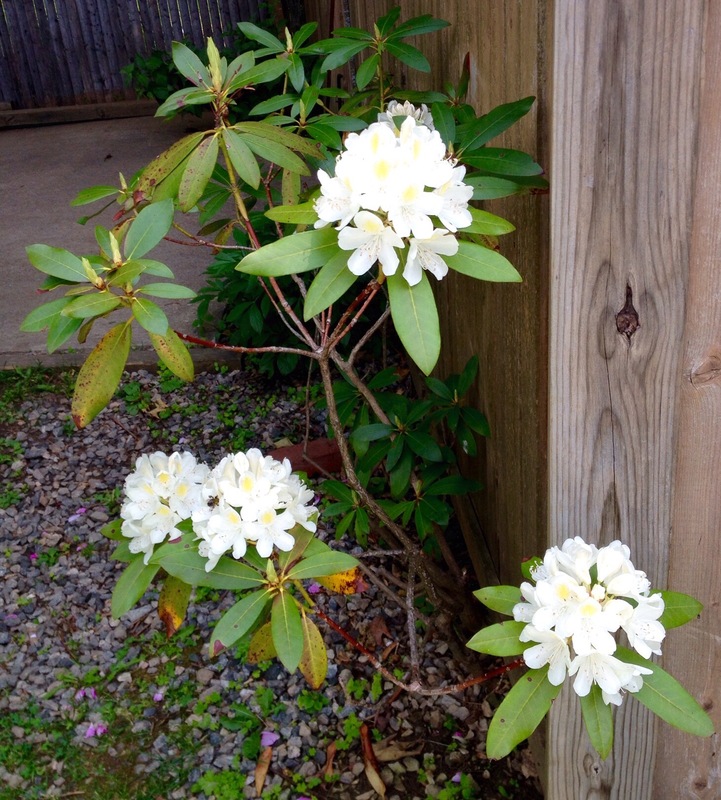 I bought her, I think, about fifteen years ago and just a few years after that, when we replaced our fence, the fence people put one of the sections right down the middle of my poor rhodie. 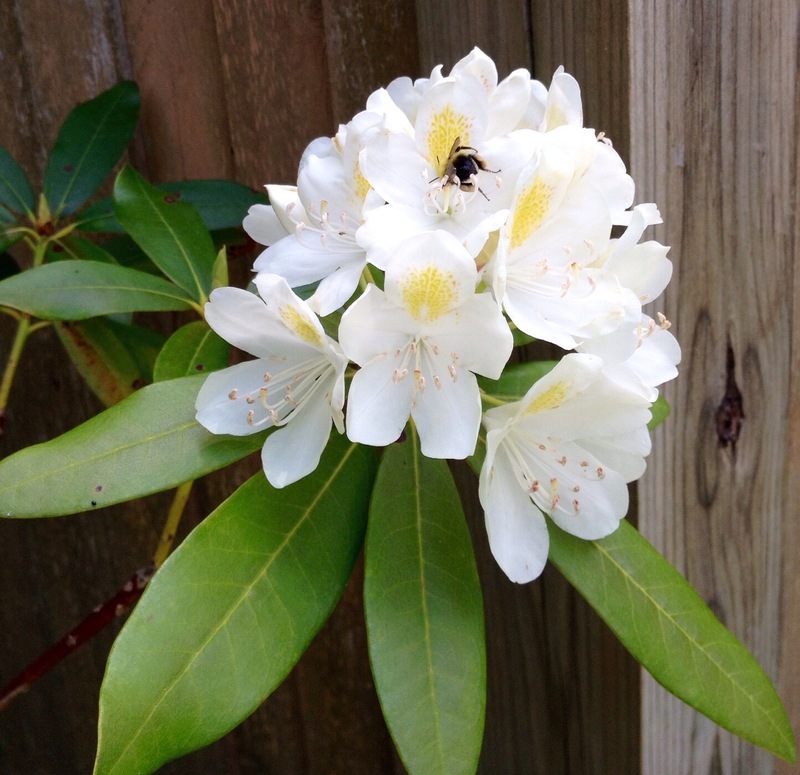 She wasn’t happy for a long time, but through an unbelievable need to grow and thrive, here she is with several beautiful blossoms that the bees are loving right now. 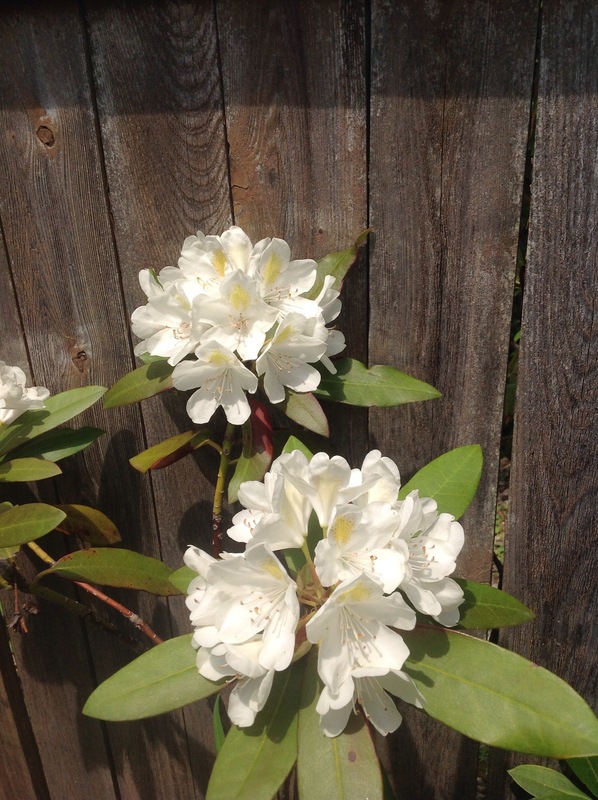 Here is my rhodie from the other side of the fence, amazing isn’t it? I felt so bad for her those first few years, she was really in a bad way but with the fence, I couldn’t really dig her up to put her elsewhere. 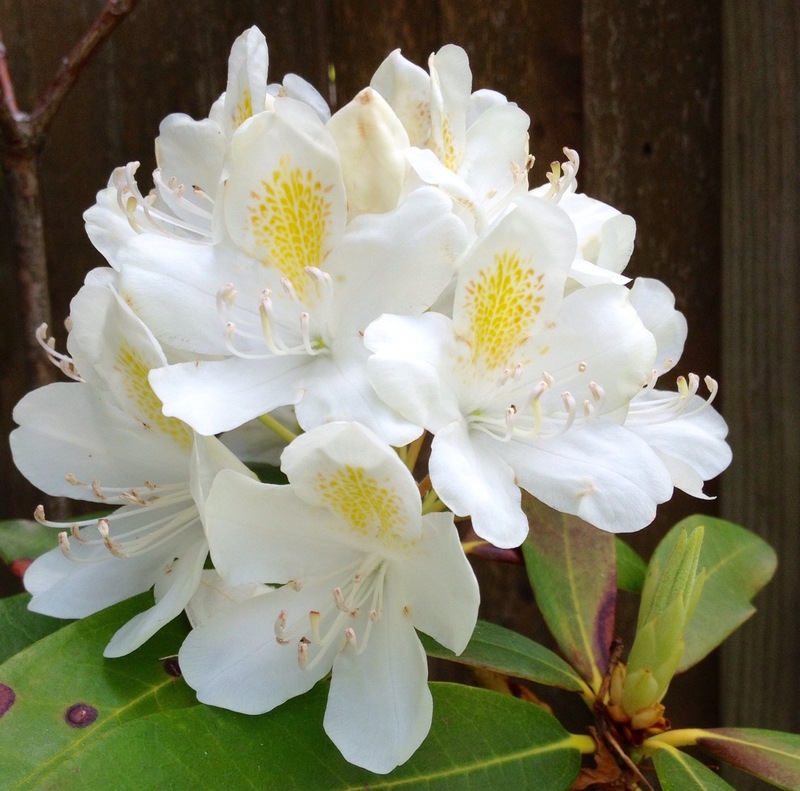 I love the purity of the white blossoms with the smallest touch of yellow in the center. It’s almost as if I have two rhododendrons instead of the one. That is awesome!!! Beautiful flowers for sure!